Nokia has once again talked up its mobile mapping service, now claiming that it beats Google's offering hands down. "Nokia, not Google, is the leader in mobile navigation. We lead the market in terms of functionality and reach." 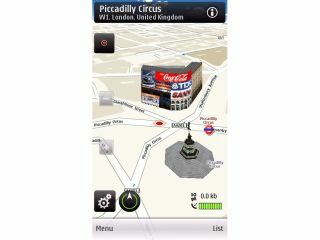 "Ovi Maps, unlike Google, offers pedestrian navigation, as well as the best line to take on the Underground, plus on Ovi Maps you don't need to be connected. "Thanks to this, Ovi Maps is far les data hungry than Google's service, because we're optimised for mobile use. "This is a space we intend to own." Nokia isn't quite accurate in this statement though - Google recently introduced walking sat nav directions for Android phones, although still has yet to incorporate public transport alternatives fully into its Google Maps services.